The UAE Civil Code provides for the different types of real property rights that exist in the UAE, save for long term leases which are found in other laws as described below. Each real property right is distinct and gives the holder of such right a set of specified powers including a direct right over property. Freehold is the most superior right which is perpetual in nature, whereas the others (i.e. musataha, usufruct and use and residence rights) are more restrictive in nature. This article will discuss the key features of the various real property right options available in Dubai. Freehold title of property is the most superior form of real property right and allows its owner to enjoy and occupy the land or property in perpetuity, and is evidenced by a title deed issued by the Dubai Land Department. ‘Law No. 7 of 2006 concerning Real Property Registration in the Emirate of Dubai’, read with the UAE Civil Code, permits UAE and GCC nationals to own freehold property interests (as well as leases up to 99 years, usufruct and musataha) in any part of Dubai. The same right is also available to companies owned by UAE and GCC Nationals as well as public joint stock companies in Dubai. Foreign nationals are permitted to own freehold property in “designated areas” approved by the Ruler of Dubai from time to time. Presently, there are over 24 designated areas approved for foreign ownership. Article 1333 of the Civil Code defines Usufruct as a “property right in favour of the usufructuary to use property of another and to exploit it provided that it remains in its original condition”. Thus, an owner of a building, unit or plot is eligible to enter into a usufruct agreement with a tenant permitting the tenant to use the leased property provided such property remains in its original condition subject to fair wear and tear. The key rights and obligations of the usufructuary have been laid down in Articles 1337 to 1348 of the Civil Code. Most of the rights are standard to lease agreements (including right of enjoyment during the lease period, regular maintenance responsibility upon usufructuary and major works to be performed by the land owner etc), and the parties are permitted to vary certain provisions laid down in the Civil Code provided it is not against public policy. Termination of usufruct is dealt with in Article 1344 of the Civil Code. A usufruct typically terminates upon expiry of 50 years unless agreed otherwise between the parties. Destruction of the leased property or waiver by the usufructuary or termination by court order due to misuse are some of the other grounds of termination. In the event that the usufructuary buys the leased property, thereby becoming the freehold owner, the usufruct ceases. Article 1353 defines musataha as “a right in rem conferring upon the owner thereof the right to build a building or to plant on the land of another.” Thus, musataha is very similar to usufruct but grants an additional development right to the musataha holder. The musataha holder can obtain financing against his musataha right by virtue of Article 1355 of the Civil Code. The maximum term of a musataha is 50 years. Unless otherwise agreed, either party has the right to terminate the musataha by two years prior notice in accordance with Article 1356 of the Civil Code. Article 1357 of the Civil Code permits the musataha holder to assign or transfer his musataha right along with any improvements (such as a building built over the leased land) to a third party. Termination of the musataha occurs upon expiry of the musataha period as agreed between the parties. Similar to usufruct, if the musataha holder buys the leased property, the musataha will terminate. Unless agreed otherwise, payment default by the musataha holder for a period of two years is also considered a ground for termination. Article 1352 of the Civil Code provides for “Use & Residence” rights and states that the rules of usufruct would apply to such rights. This terminology is not commonly used and we are not aware of registration of any Use & Residence rights with Dubai Land Department. In our opinion, a Use and Residence right is similar to a long term lease since it relates to use and residence. Whilst the Civil Code does not expressly mention long term leases, references to long leases are made in Dubai Law No. 7 of 2006, whereby a foreign national is permitted to acquire a lease of property located in a designated area for a maximum period of 99 years. Such long leases must be registered in the Real Property Register as a property right. UAE and GCC and foreign nationals are permitted to enter into short term leases not exceeding 10 years in all areas of Dubai. Such leases create a right “in personam” and must be registered with RERA pursuant to ‘Dubai Law No. 26 of 2007 regulating the relationship between landlords and tenants in the Emirate of Dubai’ (“Tenancy Laws”). Either the landlord or the tenant can register the short term lease with RERA upon payment of fees of approximately AED 200. The applicable laws are silent regarding the validity of an unregistered short term lease, however if not registered then various problems may arise relating to renewal of residency visa, obtaining a utilities account from DEWA, filing a case at the Rental Dispute Settlement Centre, or serving a notice through Notary Public to the other contracting party. Dubai Administrative Resolution No. 134 of 2013 defines a long term lease as a lease for a term of more than 10 years and up to 99 years. UAE and GCC Nationals, and companies wholly owned by them, can enter into long term leases of properties located in all areas of Dubai. However, foreign nationals are only permitted to enter into a long term lease of all properties located in “designated areas” of Dubai as determined by the Ruler of Dubai. Long leases cannot exceed 99 years and must be registered in the Real Property Register in the Dubai Land Department pursuant to the requirements of Article 9 of Dubai Law No. 7 of 2006. It is important to note that the Tenancy Laws are not applicable over long term leases and the Rental Dispute Settlement Centre does not have jurisdiction over long term lease disputes. 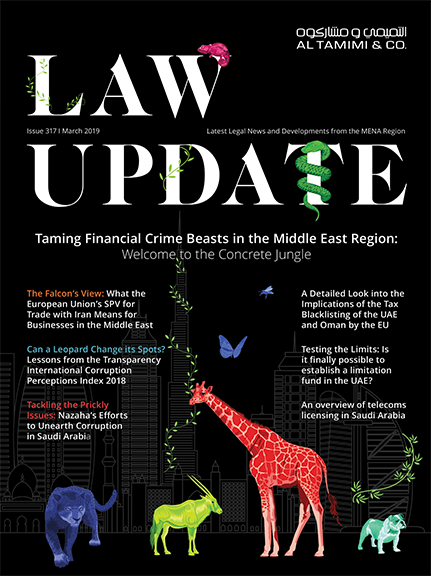 ‘Dubai Law No. 14 of 2008 concerning mortgages in the Emirate of Dubai’ (“Mortgage Law”) permits a borrower to obtain mortgage finance from a UAE Central Bank registered bank to purchase of property registered with the Dubai Land Department. Article 21 of the Mortgage Law allows a musataha holder to mortgage the building or plants during the term of the musataha without having the right to mortgage the land that is to be developed unless otherwise agreed between the parties supported by Article 1356 of the Civil Code. Similarly, Article 22 of the Mortgage Law allows the holder of usufruct or long term lease for a period between 10 and 99 years to mortgage his real property interest during the term of the agreement. The mortgage must be registered to be enforceable which entails payment of registration fees of 0.25% of the loan amount to Dubai Land Department. From a practical point of view, there appears to be some amount of confusion with regards to application of registration fees to the corresponding real property right and our advice is that the investor should discuss the payment of applicable fees prior to registration with the Land Department. Usufruct, musataha and long term lease are all regarded as real property rights in Dubai and must be registered in the Real Property Register at the Dubai Land Department in accordance with the laws. Based on recent property transactions, we note a trend whereby the investors increasingly prefer to enter into usufruct and musataha arrangement owing to its unique features. In the event of a dispute, Dubai courts have jurisdiction to decide over all property disputes in Dubai except for short term leases which come under the jurisdiction of the Rental Dispute Settlement Centre.